Turn up the mood with Polkadraai – the funky Stellenbosch Hills range that has just added two brand new editions in its portfolio: the 2017 Polkadraai Pinotage/Merlot and the 2018 Polkadraai Chenin Blanc/Sauvignon Blanc. 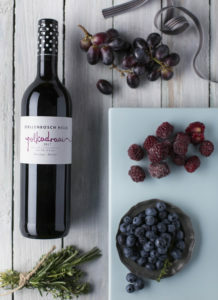 Polkadraai delivers the quality and balance that Stellenbosch is famous for in an easy-drinking, fun-loving format. In fact, the name says it all: Polkadraai is the country road that connects the vineyards used for its wines. It’s also a reflection of all things polka – from the lively dance that has its roots in Bohemia to the playful polka dot pattern. 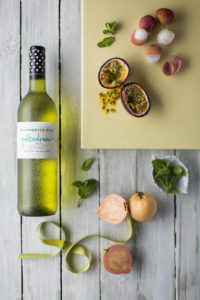 The Polkadraai Pinotage/Merlot and Chenin Blanc/Sauvignon Blanc blends are among the most popular wines in the range and its new vintage releases are eagerly awaited year-to-year. The latest newcomers are no exception. The 2017 Polkadraai Pinotage/Merlot provides the perfect excuse to snuggle up beside a roaring fire this winter. Serve it with delicious bakes like moussaka or a cheesy Parmigiana, a hearty beef goulash or Springbok casserole. No need to wait for summer when you’ve got the 2018 Polkadraai Chenin Blanc/Sauvignon Blanc close at hand. Fantastic by itself, this sunshine-in-a-bottle pairs brilliantly with winter dishes like honey-roasted duck, vegetable risotto or steamy paella. Be sure to add some of the other Polkadraai bubblies to your shopping list too. The Pinot Noir Sparkling Rosé is a seductive salmon-coloured sparkling wine that brims with the flavours of berries and the drier Brut Sparkling Sauvignon Blanc is notable for its lively fruit flavours, and crisp acidity. Polkadraai also produces a 3L bag-in-a-box Sauvignon Blanc and Merlot Shiraz blend – the perfect solution when the part y gets bigger. Both the 2017 Polkadraai Pinotage/Merlot and 2018 Polkadraai Chenin Blanc/Sauvignon Blanc sell for around R44.50 per bottle and are available at most reputable wine retailers and restaurants as well as at Stellenbosch Hills itself. For more information, call 021 881 3828/9 or email info@stellenbosch-hills.co.za.